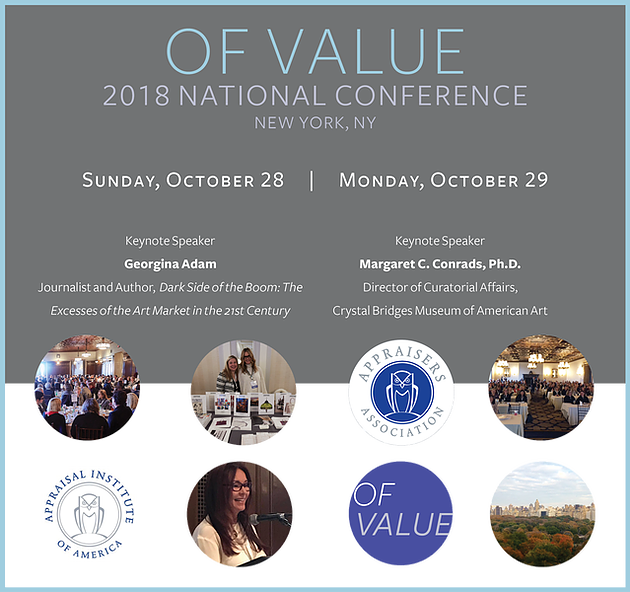 Your Art Concierge is proud to be attending the Appraisers Association 2018 National Conference in New York on Sunday, October 28th and Monday, October 29th at the New York Athletic Club. The keynote speaker will be Georgina Adam, journalist and author of Dark Side of the Boom: The Excesses of the Art Market in the 21st century and Margaret C. Conrads, PhD., Director of Curatorial Affairs, Crystal Bridges Museum of American Art. Various Panel Topics and Connoisseurship Sessions will be conducted, together with Networking Luncheons each day. A gallery reception for conference attendees will take place at Alexander Gallery on Sunday, October 28th.